By Arthur Etchells·	 11/22/2013, 3:00 p.m.
Tom McCusker of Honest Tom’s alerts us to an event happening Saturday, November 23rd at the corner of Lancaster and Hamilton (between 38th and 39th in West Philadelphia. Lanxgiving is taking place in a huge warehouse at the corner. The concept is to show the property owner that the neighborhood wants what McCusker and others have in mind. The Keystone Center is envisioned as a multi-use neighborhood event space for flea markets, rotatating food vendors, musical showcases, farmers’ markets and etc. 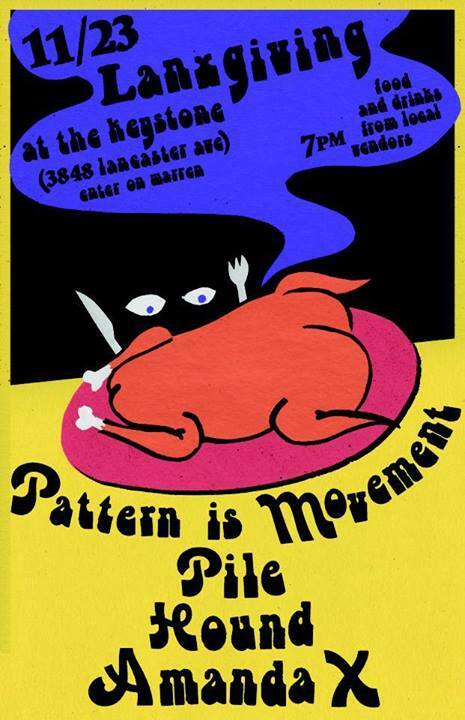 So tomorrow there will be four bands (Pattern is Movement, Pile, Hound, Amanda X), food from Poi Dog and Ranch Road Tacos will be served with free cold drinks. The fun starts at 7 p.m and McCusker encourages everyone to come down to show their support.